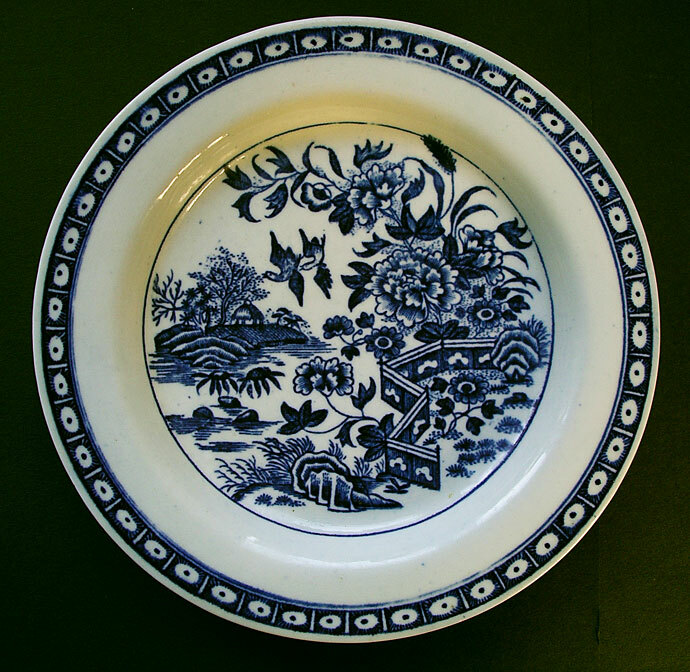 "A rare and desirable piece of blue and white Caughley English porcelain produced at Thomas Turner's Caughley Salopian Porcelain Factory, Broseley, Shropshire. 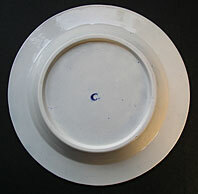 It is a dish or stand for a circular butter tub and dates from c.1775-85. Blue and white transfer printed decoration is the Fence pattern: an attractive blue and white design usually found on early Worcester porcelains. It is rarely found on Caughley porcelain. An intriguing reference and display piece of fine antique eighteenth century English porcelain for collectors to enjoy." Antiques Expert Hamilton Bear. References: An identical stand with the Caughley Fence pattern, alongside the more common Worcester version, for comparison, is illustrated in English China, Geofrey A. Godden page 150 plate 285. Dimensions: width 170 mm max. Marks: as illustrated Caughley 'C' mark. Condition: The piece is excellent with no damages to porcelain body or restoration.